This mosque is considered to belong to the timurid era(1500 A.C),because of it’s inscriptions and architecture style.But the main building is built in early islamic era and some believe that it is built on a fire temple. 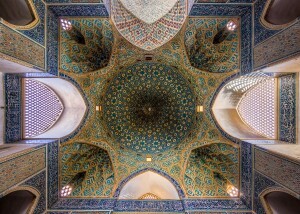 The mosque’s dome is made of two layers of covers and it’s altar has fascinating mosaic tiling. 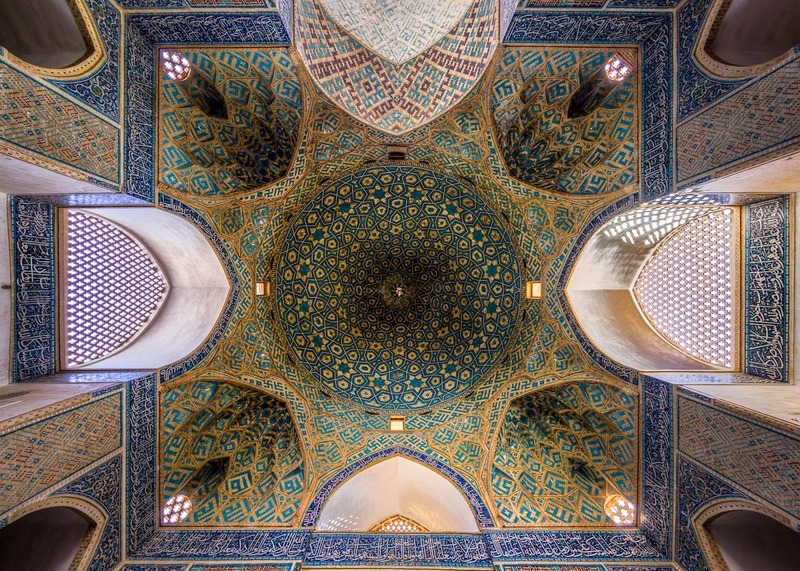 When I entered the mosque i was so amazed by the fantastic work of art which was in it’s ceiling.The ceiling was the first thing that got my attention and by the time I saw that view,I wanted to photograph it.